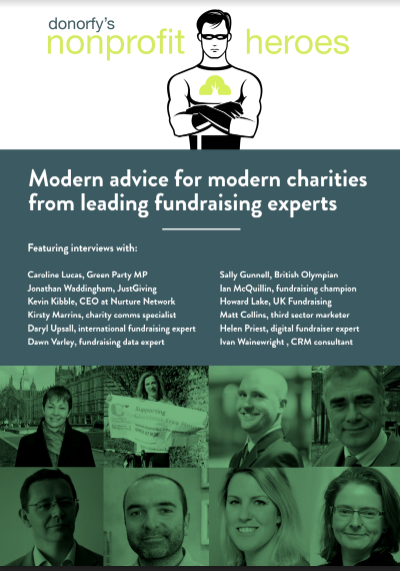 For the past year, the Donorfy team has been interviewing handpicked 'Nonprofit Heroes’ in search of valuable insight and useful anecdotes to share with you about fundraising and the nonprofit sector. This ebook features twelve select interviews, each edited for brevity and impact. You can find the originals and new nonprofit heroes interviews on our blog. And while you’re there, why not take a moment to see why Donorfy topped the Charity CRM survey two years in a row and is the fastest-growing CRM for UK non-profits? You can get started for free, so I promise it’s worth your time - once you’ve finished reading these interviews, of course!